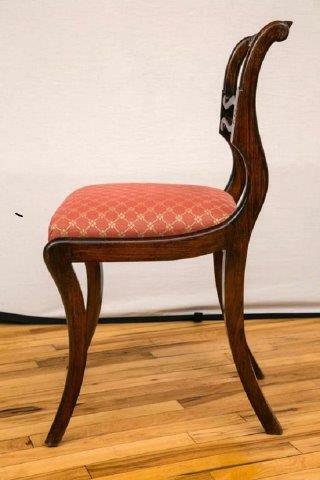 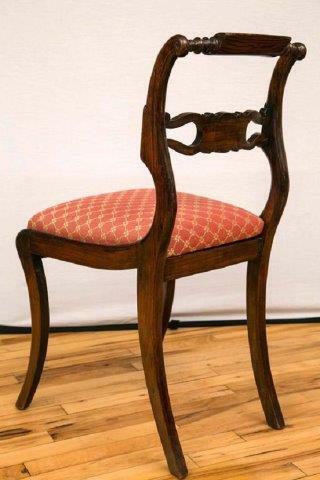 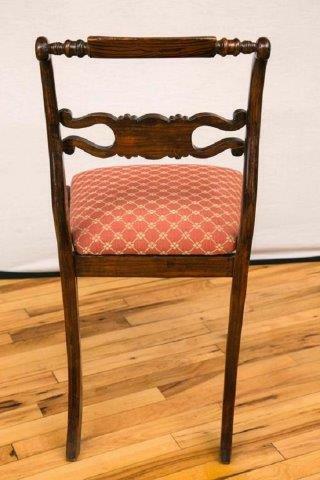 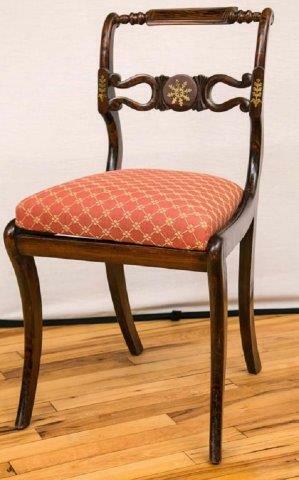 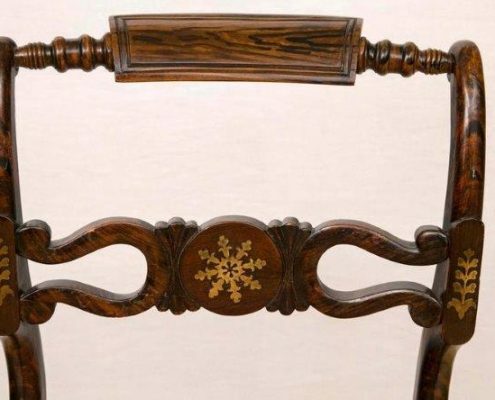 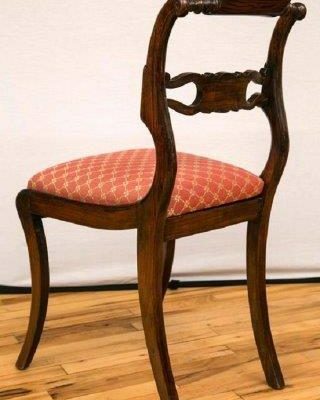 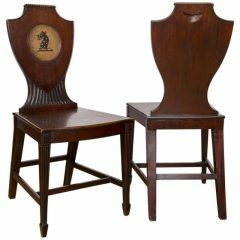 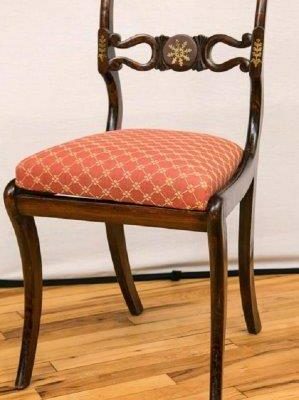 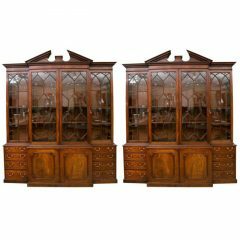 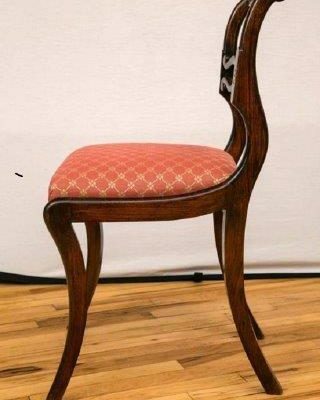 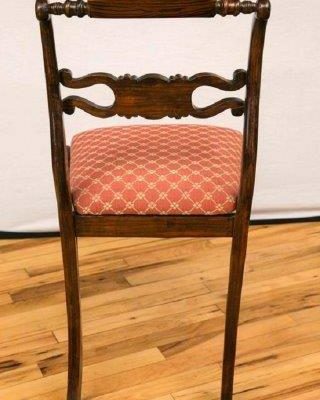 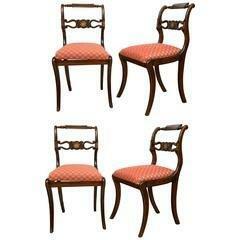 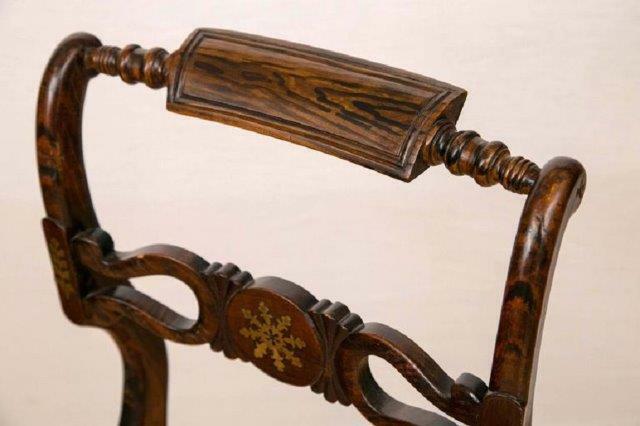 A set of four Regency period side chairs, with turned crest rails. 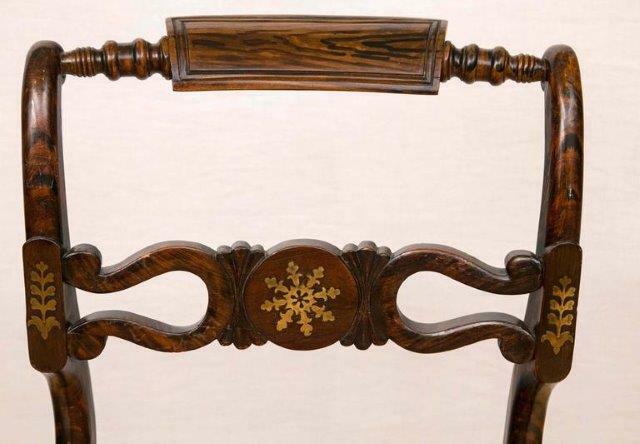 The central splats also with brass inlay. 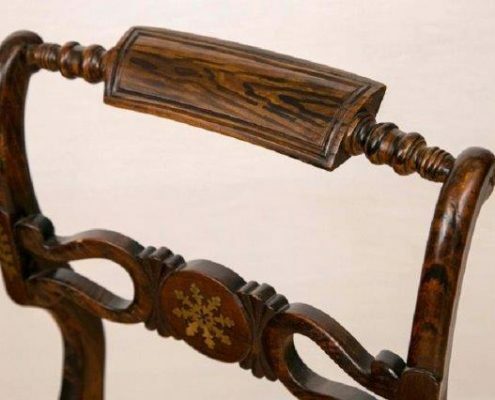 Drop in upholstered seats over saber form legs.